According to the American Psychological Association’s 2014 study of stress in American life, the most stressed group in America are teenagers (Willard, 2016). Could this be due to more homework or expectations from school? Could it be due to changing familial lifestyles? Or perhaps children are never taught how to recognize and cope with their emotions, which leads to stressed teenagers. 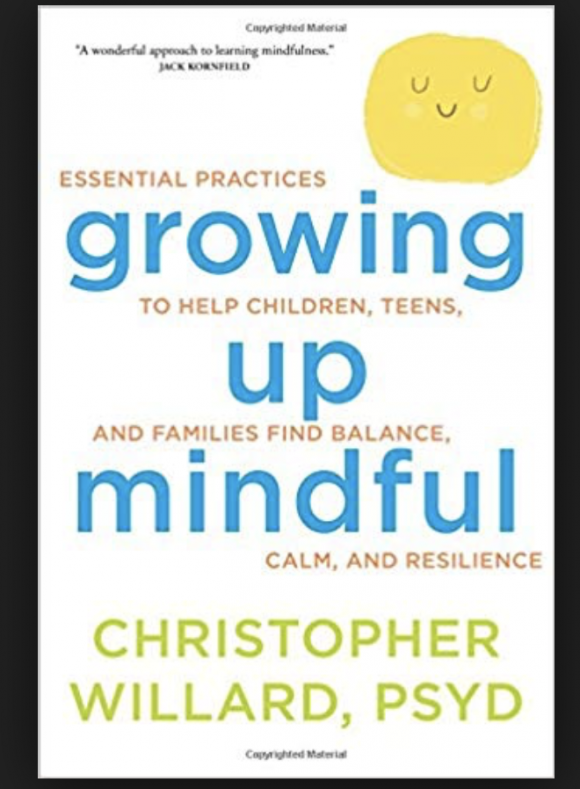 In his book, Growing up Mindful, Christopher Willard establishes that children are rarely taught how to cope with stress. Furthermore, once they mature to teens, their automatic responses to stress are established because they have been, and continue to be, reinforced by life experiences. He explains that children’s brains are the most malleable, which is why it would be most beneficial to begin cultivating mindfulness practices at a young age. Willard’s expertise is apparent as he explains the body’s natural responses to stress, which often are referred to as the fight-or-flight response, in which the mind and body interpret everything as a threat, and the freeze/submit response, in which the response resembles learned helplessness and sometimes depression. Willard goes on to describe more effective responses to stress, which can be achieved by cultivating mindfulness practices. The first response is referred to as attending, in which the person is alert and aware of their emotional state, yet calm. The second is befriending, in which the person stays in the present moment to experience the uncomfortable emotion, and ultimately embraces this emotion. These two responses to stress encourage staying in the present moment with compassion and self-compassion. In order to demonstrate how to develop these skills, the book is organized into three parts: Understanding Mindfulness, Practices for Children and Teens, and Sharing Mindfulness in a Formal Setting. Part one of Growing up Mindfulis the most scientific of the three parts. In the three chapters that make up part one, Willard sets up a compelling case for the need to develop a mindfulness practice starting at a young age. Chapter one sets the base for the rest of the book. In this chapter Willard explains the body’s natural responses to stress, how these responses may have had evolutionary benefits, but are not appropriate responses to many of the stressors we face today. Willard breaks down the neurological, psychological, physical, academic, and behavioral benefits of mindfulness in a way that is compelling to the academic reader yet not overwhelming to the non-academic reader. Intermixed with scientific explanations are charts and exercises that demonstrate the points he makes. It is also in this chapter that he stresses the importance of beginning mindfulness practices at an early age, and including children in the process by explaining the way the brain works and how mindfulness practices can influence their responses to stressful situations. 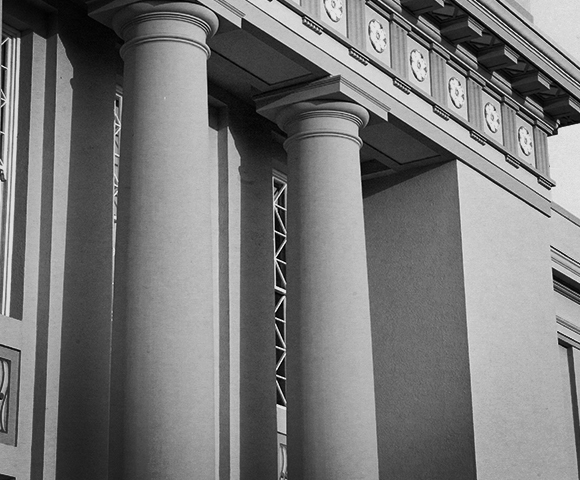 Chapters two and three delve into the defining characteristics of mindfulness, which are important to understand before being able to teach others about mindfulness. Willard uses metaphors that make the abstract concept of mindfulness easier to grasp. For example, describing mindfulness as “mental fitness” in order to compare it to physical fitness, which is encouraged and deemed important from an early age. He also uses bullet point lists and acronyms to help break down information that may otherwise be overwhelming to those not trained in science or academia. In these chapters Willard addresses common misconceptions about mindfulness, which is a creative way to help readers become attuned to their preconceived notions towards mindfulness. It is important for the reader to be aware of their attitudes towards mindfulness in order to differentiate misconceptions from knowledge. Finally, in this section Willard ends with several ways for the reader to cultivate their own mindfulness practice. This is crucial because children copy what they see. As Willard puts it, “one of the most common questions I hear from parents and professionals alike is, ‘What is the best practice for a kid who is in the middle of a meltdown?’ There is no magical breathing trick I can offer, no mindful off-switch for a tantrum. The best practice for a kid in meltdown mode is your practice” (p. 43). The final chapter in this section demonstrates how conflict is inevitable for everyone, but developing our own mindfulness practices will not only benefit us personally, it will benefit our children or the students that we work with because we are teaching by example that it is possible to remain calm and present even in the midst of chaos. Part two makes up the majority of this book. Chapters four through eleven give detailed accounts of different mindfulness practices for different age groups. This part of the book stresses the importance of getting to know the children you are working with and incorporating their interests in their mindfulness practices. Some common themes for children’s interests include sports, creative arts, nature and outdoor activities, social media, friendships, academics, writing, music, and performing arts. For each of these categories Willard describes in detail various mindfulness exercises that would appeal to these specific interests. Tying in the child’s interests to their mindfulness practice is a resourceful and creative way to generate buy in for the process, engage the student, and will increase the likelihood of developing a long-term practice. Willard points out that for many children (and adults!) it is easier to recognize and identify an experience in one’s body rather than articulating the emotions or thoughts in one’s mind. He describes exercises with fun names such as “name it and tame it,” and “ice ice baby” that will help children learn to tolerate their uncomfortable feelings by recognizing that they will pass. Another strategy that Willard employs is describing various mindfulness exercises, such as walking with emotions, and then giving variations of these exercises for different age groups. This is an innovative way to ensure that the practice is being tailored to children or teens, and is another way to increase the likelihood that these students will engage with the practices. For example, walking mindfully with young children can be a fun game by encouraging the child to “walk like they are a penguin” or “walk like they are on slippery, thin ice.” Or for teenagers who are perhaps getting ready to interview for colleges, encouraging them to walk as different characters such as “a celebrity walking down the red carpet,” or “a confident businesswoman.” These are simple modifications that still encapsulate the premise of mindfulness, which is to be fully engaged and focused on the present moment, while taking into consideration the needs of the person you are working with. Willard also encourages teaching how to engage in short mindfulness practices in order to not overwhelm children. He even includes a list of 100 common everyday activities in which mindfulness can be incorporated, such as waiting for their turn in a game, standing in line, peeling an orange, and laying in bed waiting to fall asleep. “This is the real secret of life-to be completely engaged with what you are doing in the here and now. And instead of calling it work, realize that it is play” (p. 203). Chapters twelve and thirteen end the book by reiterating many of the points Willard made in part one. He emphasizes the importance of cultivating ones own practice before teaching others, once again breaks down the steps of how best to encourage mindfulness practices with people of different age groups, how to generate a sense of buy in for the mindfulness process, and why it is important to begin teaching mindfulness at a young age. Growing up Mindful is exceptional in that Willard so expertly describes a complex process in a simple way that can be easily understood by academics, parents, and children. Rather than trying to adhere to traditional mindfulness practices, Willard creatively focuses on the interests of children and teenagers and describes ways for mindfulness practices to be fun for them. He takes into consideration the unique situations of this generation, he even has an entire chapter dedicated to mindfulness with technology and social media. The emphasis that Willard places on focusing on the interests of the child you are working with, and the many detailed practices and examples that Willard illustrates for many different interest areas, makes his book a useful tool for teachers, therapists, parents, and even teenagers who want to better understand the concept and practice of mindfulness.